Could Earth's light blue color be a signature of life? 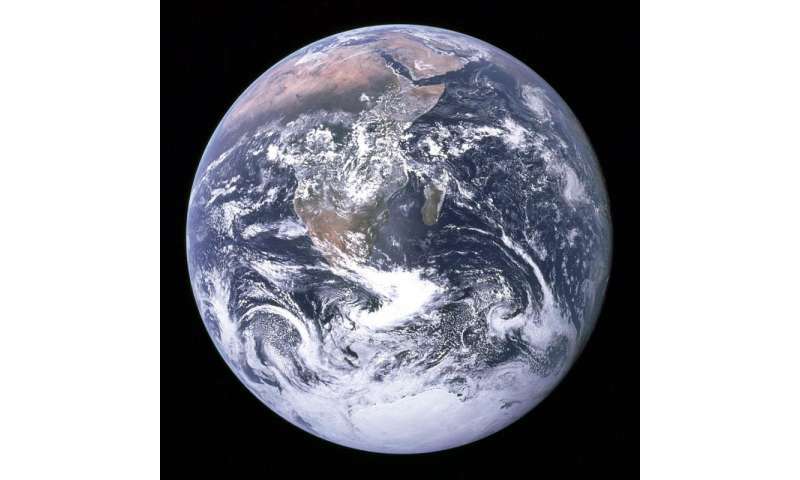 "One important takeaway is that color should be used with caution because we found it's relatively easy to make lifeless planets that are pale blue in color," said lead author Joshua Krissansen-Totton, a doctoral student at the University of Washington. "With that said, I was very excited to find that Earth's spectrum has an intriguing signature that is biogenic, unique and potentially quite useful." The study, published in The Astrophysical Journal, was funded by the NASA Astrobiology Institute's Virtual Planetary Laboratory (VPL). Paper co-author David Catling is an awardee of the Habitable Worlds program. 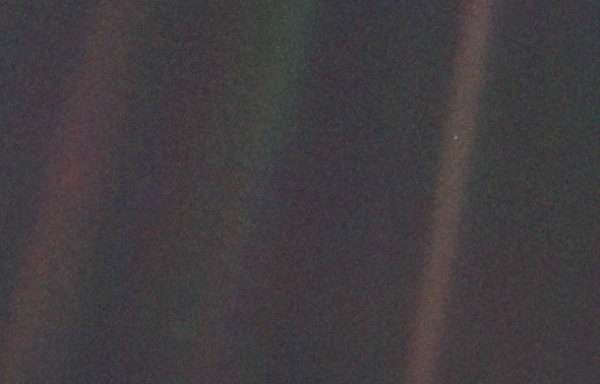 When viewed from deep space, like with Voyager 1, and reduced to a single pixel or less, Earth appears its distinctive shade for several key reasons, the study explained. Nitrogen, the overwhelming component of Earth's atmosphere, is transparent. An atmosphere that is clear to visible light preferentially scatters short wavelength, bluer light, as opposed to longer wavelength, redder light. As a result of this so-called Rayleigh scattering, blue light appears to come from all directions, and presto: the sky looks blue, as do the oceans (water is colorless). The blue light scatters into space as well, and thus to external observers. Meanwhile, the oxygen in our air chemically reacts with many types of molecules that would otherwise form an opaque haze. Such atmospheric haze is evident in the visages of Venus, Jupiter, Saturn, and Saturn's moon Titan. The study's catalog included a goodly number of theoretical worlds' spectra, from many of our solar system's planets and moons with simulated atmospheres of varying thicknesses, to gas- and ice giant exoplanets, as well as sub-Neptune-sized worlds with hydrogen-dominated or thick, water-steam envelopes. Several types of worlds, the analysis showed, could trick astronomers into thinking they were perhaps habitable by aping Earth's special hue. The ruse could even be pulled off by planets like ancient versions of Mars, now a rusty red but once wet and warm. "Our cosmic neighbor Mars may have even been a pale blue dot earlier in its history when it had a thicker carbon dioxide atmosphere, as would icy exoplanets with thick nitrogen atmospheres," said Krissansen-Totton. "I think this is a good reason to be wary when interpreting the colors of exoplanets. There are many potential false positives, and planets that look alike at first may in fact be radically different." On the matter of a certain spectral signature, though, no other world type displayed it except Earth. This telltale signature assumes a U-shape as it stretches from the near-ultraviolet (beyond visible light) through the visible and then into near-infrared wavelengths. Its up-down-up shape derives from the very features that make Earth a pale blue dot in the first place: Rayleigh scattering in the bluer portion of the spectrum; some absorption in the greener portion because of the ozone in our atmosphere, which like the oxygen we breathe would not exist without life; and finally red light, again owing to continental reflectance, but also from the Earth's widespread vegetation that reflects strongly in infrared. Krissansen-Totton is pleased that this signature could separate Earthly pretenders from the genuine article of a potentially inhabited world. "Finding a terrestrial planet in the habitable zone with a U-shape spectrum would be incredibly exciting," he said. "The U-shape spectrum could then help distinguish between a real pale blue dot and the false positives, which don't have the same spectral shape." These true blue dots would be prime candidates for intensive additional study, including spectroscopy, which analyzes spectra for "fingerprints" imparted by molecules in an atmosphere. Spectroscopy would thus confirm if a world has an oxygen-rich atmosphere along with other molecules in abundance that could only reasonably be placed there due to the chemistry of life. Because spectroscopy requires more light in certain, narrow intervals of a spectrum compared to just gauging the broad color of a world, the latter could serve as a simple vetting for the former, helping researchers smartly allocate precious telescope time. The pale blue dot-seeking endeavor will have to wait, because at present telescopes can only obtain the colors of young, gas giant-sized planets. Accordingly, we know what a mere handful of exoplanets look like to our eyes, such as the deep blue, scorching gas giant HD 189733b, and the magenta-hued giant, GJ 504 b. 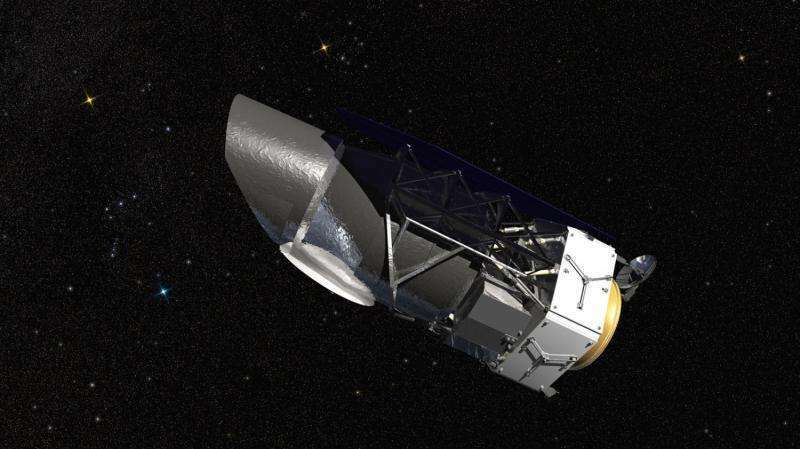 Future telescopes, like WFIRST-AFTA and the 30-meter class of ground-based telescopes, should bring more Earth-sized, potentially livable worlds into view next decade. In the meantime, more work remains to be done in assessing the value of exoplanet colors for clues as to habitability. For instance, the study did not look at the colors of super-Earths, an intriguing world type unprecedented in our solar system and yet amongst the most common in the Milky Way. No matter how detailed the theoretical basis gets, if exoplanetary history is any guide, there will be many shockers in store. 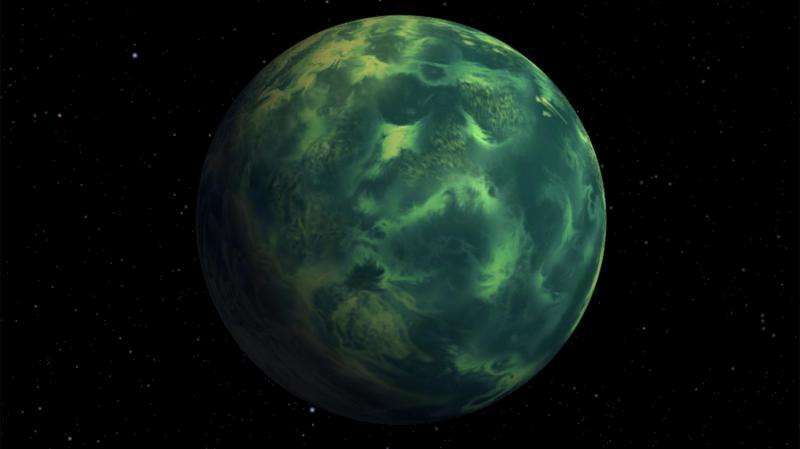 "Although we weren't able to invent a dead planet that exactly mimics Earth's color, it's possible that there are strange, uninhabitable planets out there with exotic surfaces and atmospheres that are identical in color to the Earth," said Krissansen-Totton. "Nature is weird and full of surprises." Funny, I just read today that life begins with a flash of light. Funny, I just read today the life begins with a flash of light. Maybe we are actually moving away from the end toward the beginning of time.. you never know... eally ??!! We are studying outer space so much that we forget that there is such a thing like innerspace... but it is too infeestimally tiny to squeeze our eyeballs into... with whatever means we can think of like electron microscopes and stuff.. I am tlakikng about very tiny places where light just cannot get to at all no matter how so close it is.... light just cannot reach it... it is beyond our own sphere of visual abilities. with help of light as fast as xrays or faster.. it is way too tiny and it never stop getting tinier and tinier endlessly... into a point forever... and what about other point over there and there you cannot make a pointer sharp enough to touch it... the pointed end will end looking like a blunt end somewhere and you will have to file it ever sharper still.. still not far enough forever. infiniesmilally tiny all way inner there! Ouch! That made me head hurt! Excellent. A signature is a good thing to have when you're searching for something. This was well-thought. @Da Schneib: Yes, it is a good idea. Though I worry that they rely on photosynthesis to get one of the sharp ends of the u-curve. Hmm... if aliens used this signature, they could end up in Uranus. So beautiful the ionized air glow of electric blue.